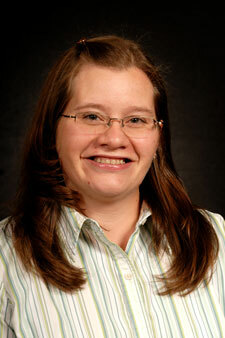 Dr. Hunter received her Bachelor's degrees in German and Zoology/physiology from the University of Wyoming in 2000. She received her Doctor of Pharmacy degree from UW in 2004. After working in a hospital pharmacy for one year, she joined the UW faculty as the Drug Information Director in October of 2005. The Drug Information Center provides accurate and complete drug information to health care professionals and residents within the state of Wyoming and to UW School of Pharmacy alumni.